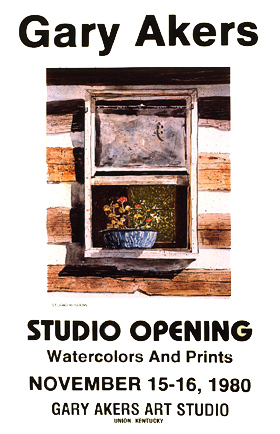 Artist Posters are created and designed by the artist to advertise studio, gallery, and museum events. Collectors enjoy having a memento of the exhibitions they attend, or sometimes just the original image and design. Gary Akers offers his posters from exhibitions past when available and will have them available signed for collectors.